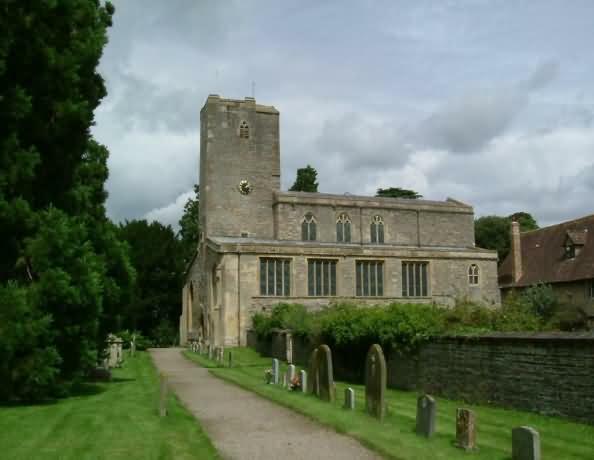 The tiny village of Deerhurst is situated some 6 miles from Tewkesbury in Gloucestershire and can be reached via the A38 and B4213 . 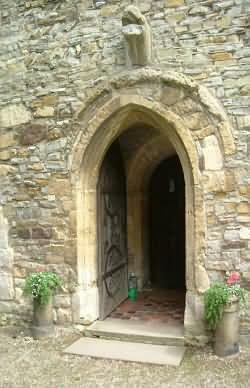 It was the site of major historic importance at the Priory church of Saint Mary. Cnut (also known as Canute and as Knut Sweinsson, he was the son of the Danish King Swein Forkbeard who died in 1014) met with Edmund Ironside (the son of Ethelred the Unready who died in 1016) and it was here in 1016 that they agreed to divide England between them, this followed a battle in which Cnut had defeated Edmund. It was agreed that Cnut would control the North of the Kingdom and Edmund the South however the agreement was to be short lived as Edmund died mysteriously and Cnut was in total control. The origins of Deerhurst church are unknown but evidence shows that it existed prior to 804. It is thought that this was one of the most important religious institutions of the Kingdom of Hwicce which was a sub-kingdom of Mercia. Regarded as one of the most complete Anglo-Saxon churches in England this beautiful church is well worth a visit. It was here Alphedge began his religious career before eventually becoming the Bishop of Canterbury. In the year 1012 he was martyred by the Danes at Greenwich. Visitors will see in amongst the fine collection of medieval glass at the west end of the south aisle a 14th century figure of St Alphedge. 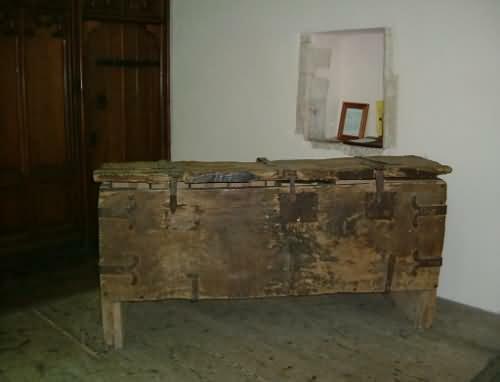 At the east end of the south aisle an ancient wooden chest is on display. Amongst other exhibits is a pictorial display giving information about the nearby Odda’s chapel. 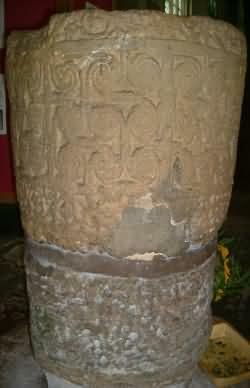 The font is of the 9th century and is one of the many features of the period to be seen. Also it is interesting to observe the connection that Deerhurst has with the popular Christmas feast. For a stained glass window situated in the north aisle commemorates Hugh Strickland a geologist of some importance, below the window, a coat of arms shows a turkey and it was the family ancestors who are believed to have introduced the first turkey into the country from America. Ancestors are said to have accompanied the Cabots to America and introduced the bird to Britain on their return. Further east are the handsome brasses of the Cassey family from Wightfield Manor. Sir John was Chief Lord of the Exchequer in the late 14th century, but it is the little dog at the feet of his wife which draws attention. 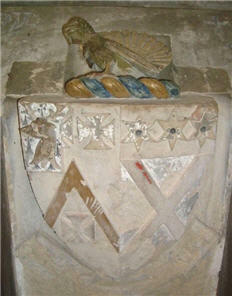 It is obviously the depiction of a specific family pet, for he is named as 'Terri': the only example of a named animal on any memorial brass. 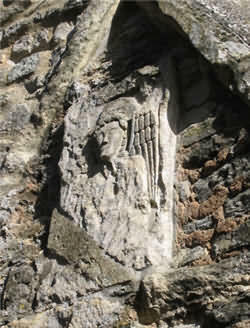 Look in the ruins of the ancient apse, by looking upwards on the ruins of the adjoining wall, the Anglo -Saxon sculpture of an angel can be seen.The directions to find this are given by a sign outside near the west door. The decline in importance of St Mary’s began after the Norman conquest. Deerhurst was a residence of Earl Odda and it was following his death that the church and its lands were given to the monastery of St. Dennis situated near Paris, France. Deerhurst became an alien priory and its funds were diverted to St.Dennis. Earl Odda’s personal estates were given to Westminster abbey. Following the Hundred years war St.Dennis lost control of Deerhurst and it became a cell of Tewkesbury Abbey. 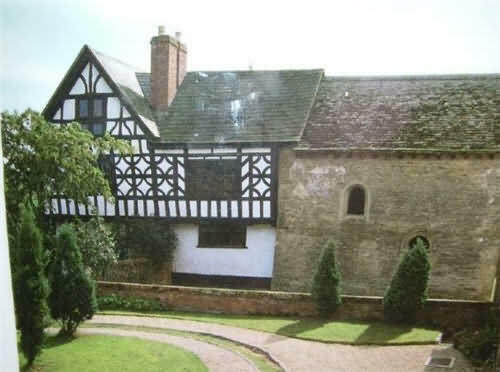 After the dissolution of the Monasteries its status of Priory Church was altered to that of a parish church. An interesting past, of which more can be learned by paying this superb church a visit. Just a short distance away from the church is Odda’s Chapel it is of Anglo Saxon origins and was built by Earl Odda in memory of his brother Aelfric, evidence of the age of the chapel which is 952 years old is supported by a inscription dated 1056 , this is now held by the Ashmolean Museum in Oxford. Odda's Chapel is a tiny Saxon chapel now built into a medieval timber-framed farmhouse which obscures the eastern chancel. The building is a simple two-cell structure with characteristic Saxon long and short quoins. 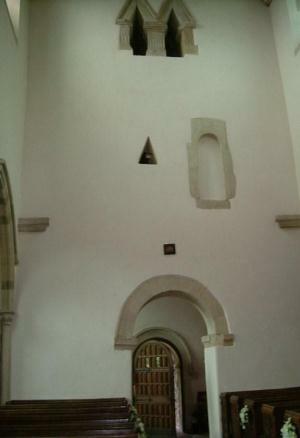 It is very plain inside, but retains its original chancel arch and a number of Saxon windows.